Have fun and remember to clear any objects away that are close by! This is an intriguing beginning experience into the realms of virtual reality that was recommended by Sonya Haskins, a competitive Echo Arena player. A gentle voice will guide you on a short journey where you’ll see vibrant imagery, experience depth in VR, and that amazing feeling of immersion without any need to interact. You’ll see mystical Cirque du Soleil performers, our little blue marble Earth, new cultures, and be transported to breathtaking fictional worlds in the security of your own living room. There’s no exercise or movement needed, this is purely a VR experience. Paint a 3D image with cool brushes and effects that will have you creating a work of art in no time. 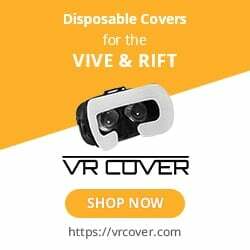 Tilt Brush has been used by artists, exercisers, in physical therapy, mental health therapy, and is just an all-around fun experience to play around in. This is a great platform to learn your way around VR controllers without the added pressure to aim and shoot or duck to avoid an attack. The VR Institute of Health and Exercise says that playing Tilt Brush can burn up to 2-4 calories per minute, or comparable to going for a walk. This is a low-key job simulator where robots have taken over the world and its jobs. You’ll be climbing up the ranks and getting promoted by doing job-related tasks like eating doughnuts, pretending to work on a computer, and following your robot boss’ directions. This is a great game to help you get adjusted to using the controllers to pick up objects, open drawers, and throw objects around. Job Simulator is ranked as equal to going for a walk by the VR Institute of Health and Exercise and burns up 2-4 calories a minute. This is a great VR application to see what meditating in virtual reality is all about. There are 22 environments to choose from and 400 locations to relax and recharge yourself after a long day. Turn the music on or off and pick guided meditations to suit how you feel in the moment (sleep, focus, maternity, etc. ), or go on your own meditation journey. Turn the motion on to move through environments or unwind with stillness and nature around you. Guided Meditation VR doesn’t have a fitness rating but it is especially effective for clearing the mind and re-energizing the body. You’re a ninja that’s equipped with dual katana swords. Your goal is to slice and dice as much fruit as possible as you block and deflect sizzling bombs from exploding in your face. This is a beginner friendly game that has additional replay value when you crank up the difficulty in Survival Mode for a play till you can’t lift your arms workout session. Use the katana to stack fruit like a kabob in order to get combo points and slow down time to get more fruit. This is a light-hearted game to teach you how to use weaponry in VR games while challenging your coordination skills. Fruit Ninja VR has a VR Institute of Health and Exercise rating that’s comparable to exercising on the elliptical, burning 4-6 calories per minute. Sparc is a good introduction to vSports and a more physically active VR game that’s a cross between dodgeball and racquetball. Each player hits their ball at the other player for points and to change the size and speed of the ball, also aiming at the circle behind them to get a strike. This is a great active game that welcomes beginners (rookies) to take part in a player vs player (PvP) match and has great replay value as you rise up the ranks to pro-level status with practice. This game does not have a fitness rating but it is a light to medium upper body workout. Racket: NX is a tennis meets racquetball VR game that equips you with a paddle that you’ll use to whack around a ball that’s bouncing off of a polygon wall. Hit solo and grouped up polygons for points, streaks, and power-ups. Hitting the ball hard and fast will test your reaction times and accuracy, making it a mid-range workout. This game is a step up in intensity from Sparc, except you have the option to play solo or with other players online. A great introduction to a more action intense VR game. The VR Institute of Health and Exercise reports that playing Racket: NX has a fitness equivalent to exercising on an elliptical, burning 4-6 calories per minute.